Join where many successful startups began, like Mashable and Coffee Meets Bagel! 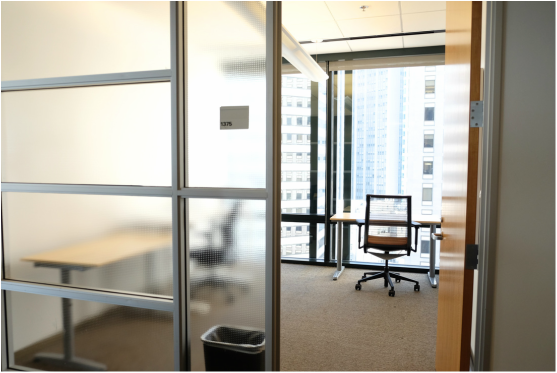 Private offices with city views available for team sizes of 4-6. Open communal spaces, high-speed internet, kitchen, whiteboards, game room, printing/scanning, and office furniture included. 24/7 access with two large event spaces are also available for personal use. Professional, high-level of security, $20/badge; all guests must check-in. If you're allergic to pets, no worries! No pets allowed except service animals. Standing desk and monitors are also available, if needed. Contact us below to schedule a free tour. Mission & 2nd St. Send me options that aren't listed.